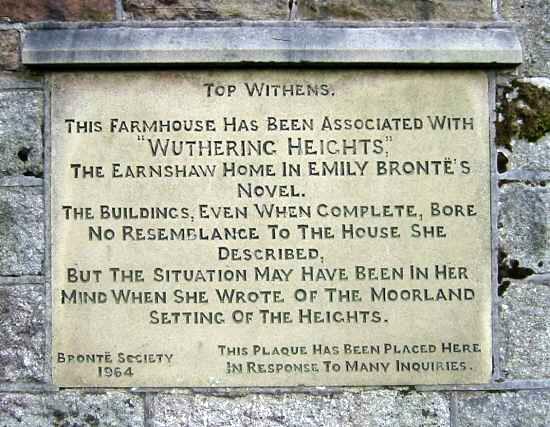 "Wuthering Heights is the name of Mr Heathcliff's dwelling. `Wuthering' being a significant provincial adjective, descriptive of the atmospheric tumult to which its station is exposed in stormy weather. Pure, bracing ventilation they must have up there at all times, indeed; one may guess the power of the north wind blowing over the edge, by the excessive slant of a few stunted firs at the end of the house; and by a range of gaunt thorns all stretching their limbs one way, as if craving alms of the sun." 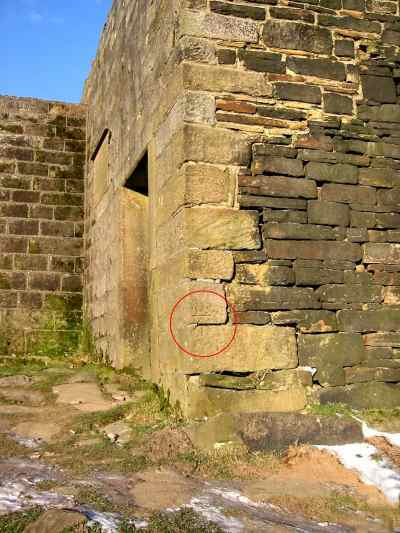 Ordnance map of Top Withens here... (external link, opens a new window) . 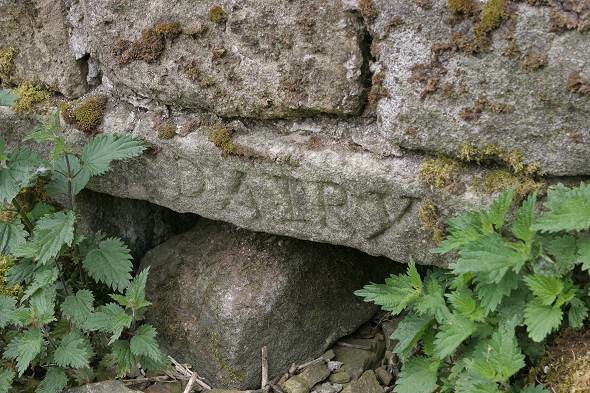 To the rear of the ruin there is a window just above ground with "Dairy" carved on the lintel. This exempted that window from window tax. 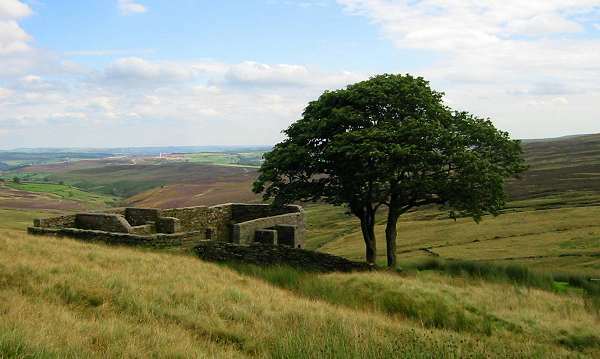 "Top Withens. 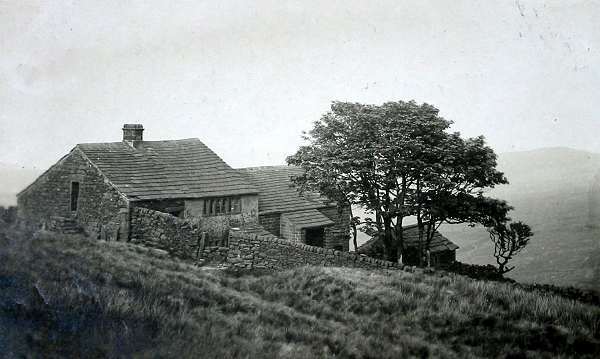 This Farmhouse has been associated with "Wuthering Heights", the Earnshaw home in Emily Bronte's novel. The buildings, even when complete bore no resemblance to the house she described, but the situation may have been in her mind when she wrote of the moorland setting of the heights. This plaque has been placed here in response to many Inquiries. 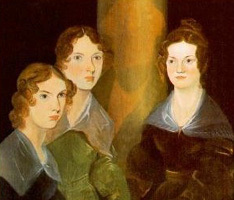 Bronte Society 1964"